Born with bladder exstrophy, Jingtai first came to Hong Kong for his exstrophy closure in March 2009. Following his recovery from surgery, he returned to Beijing and was under the care of New Hope Foundation in Beijing. In May 2010, he returned to Hong Kong for followup and was found to have bladder stones. He received stone removal surgery. In August 2012, he again came to Hong Kong for his recurring bladder stones problem and received another stone removal surgery. New Hope Foundation notified us that Jingtai was picked up by his adoptive family on the 8th of December 2012. 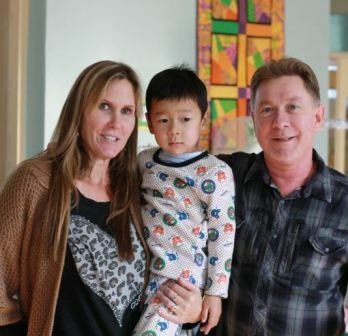 His family were originally from South Africa but now living in California.